Provide comfort for the family of Hildegard Gernsheimer with a meaningful gesture of sympathy. Hildegard “Hilde” Gernsheimer, 92, passed away March 27th in her home at The Highlands in Wyomissing surrounded by her loving family. She was the wife of Solly Gernsheimer from 1946 to his passing in 1987 and Manfred Jakobs from 1999 to his passing in 2006. Born to Karl Simon and Selma Simon (née Katz), Hilde was the third of four daughters. Raised in a Jewish family in Cloppenburg, Germany, she escaped the Holocaust at age 12 with her sister Ruth through the Kindertransport program, and lived as a refugee in Harrogate, England during World War II. She immigrated to the U.S. in 1945 through New York City, where she worked as a hairdresser for Helena Rubinstein. Following her marriage in 1946, she settled in Bernville, PA, where she raised her family. 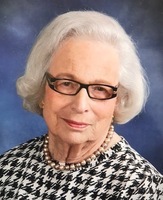 Hilde was a member of Reform Congregation Oheb Sholom in Wyomissing. An active participant in her community, she was a member of the Women’s Club of Bernville, RCOS Sisterhood and Residents’ Council at The Highlands. She was an avid bridge player, was a soup kitchen volunteer and spoke to school, religious and community groups about the Holocaust. Hilde is survived by her three children, Jack Gernsheimer, Jeff Gernsheimer and Sharon Gernsheimer, all of whom reside in Bernville, and by their respective spouses, Nancy Wolff, Jan Gernsheimer (née Barnett) and Barry Levine. Her sister Ruth Heinemann survives her, and her sisters Edith Babich and Ilse Simon passed before her. 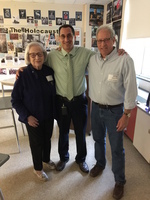 Her grandchildren include Jessica Gernsheimer Battaglia, Gabriel Gernsheimer (deceased), Peter Gernsheimer, Graham Gernsheimer, Carly Levine and Julia Levine, and great grandchildren Giacomo Battaglia, Enzo Battaglia and Lucia Battaglia. Services will be held at Reform Congregation Oheb Sholom, 555 Warwick Dr, Wyomissing, PA, at 1:00 PM on Sunday, March 31st. Burial will follow at Mt. Sinai Cemetery in Shillington. Shiva service will be held at 4:00 PM on Sunday at Reform Congregation Oheb Sholom. Shiva and a memorial gathering will be held at the Highlands Cultural Center at 7:00 PM on Tuesday, April 2. Jewish Federation of Reading/Berks, designated for the “Lakin Holocaust Library and Resource Center in memory of Hilde Gernsheimer”, online at www.readingjewishcommunity.org/tribute or by mail to Jewish Federation of Reading, PA, 1100 Berkshire Blvd, Suite 125, Wyomissing, PA 19610. New York Stem Cell Foundation, designated for Parkinson’s Research, online at www.nyscf.org/donate or by mail to New York Stem Cell Foundation, 619 W 54th St, 3rd Floor, New York, NY 10019. Reform Congregation Oheb Sholom online at www.ohebshalom.org/support or by mail to Reform Congregation Oheb Sholom, 555 Warwick Dr, Wyomissing PA 19610. 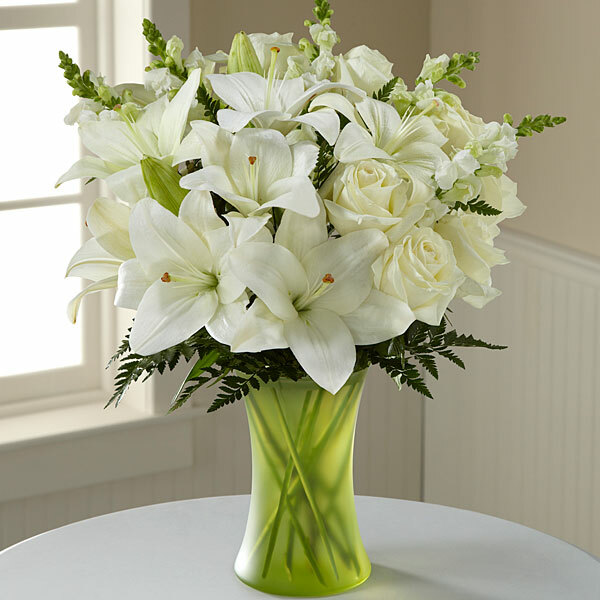 To send flowers in memory of Hildegard H. Gernsheimer (Simon), please visit our Heartfelt Sympathies Store. We encourage you to share your most beloved memories of Hildegard here, so that the family and other loved ones can always see it. You can upload cherished photographs, or share your favorite stories, and can even comment on those shared by others. Nicholaos & Stephanie Kallis and Nancy's sisters, brother and families. have sent flowers to the family of Hildegard H. Gernsheimer (Simon). As your family grieves, please know you are in our thoughts and prayers. Hilde left a tremendous imprint on our lives and the lives of our students. Nicholaos & Stephanie Kallis purchased flowers for the family of Hildegard Gernsheimer. Nancy's sisters, brother and families. Nancy's sisters, brother and families. purchased the The FTD Truly Loved Basket for the family of Hildegard Gernsheimer.